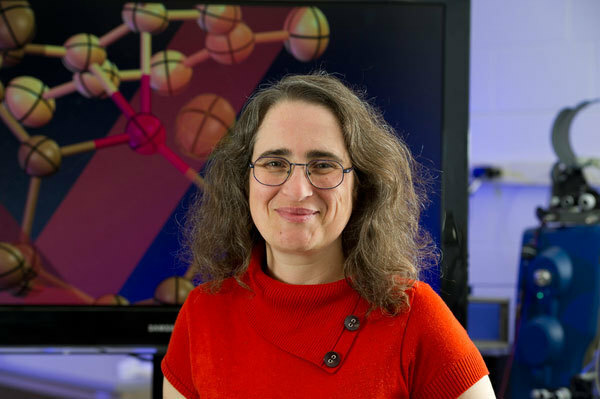 In partnership with the Notre Dame Initiative for Global Development (NDIGD), Professor of Chemistry Marya Lieberman and her research team have received support from VWR , a leading global independent provider of product and service solutions to laboratory and production customers. Through VWR’s longstanding agreement with Notre Dame, VWR will donate $10,000 of lab chemicals and consumables to the Paper Analytical Device (PAD) Project annually for at least the next three years. Within the Keough School of Global Affairs, NDIGD builds relationships with private sector partners to further Notre Dame research and promote human development in developing countries around the globe. Other current partnerships include the Mandela Washington Fellowship for Young African Leaders, supported by IBM and Coca-Cola; and The Connectivity, Electricity, and Education for Entrepreneurship (CE3) Project, supported by Accenture and Lenovo. More information on working with NDIGD can be found here. VWR (NASDAQ: VWR), headquartered in Radnor, Pennsylvania, is the leading, global, independent provider of product and service solutions to laboratory and production customers. With sales in excess of $4.3 billion in 2015, VWR enables science for customers in the pharmaceutical, biotechnology, industrial, education, government and healthcare industries. With more than 160 years of experience, VWR has cultivated a value proposition delivering product choice, operational excellence and differentiated services to improve our customers’ productivity from research to production. VWR’s differentiated services provide innovative, flexible and customized solutions from scientific research services to custom-manufactured chemical blends. Their dedicated team of more than 9,300 associates is focused on supporting scientists, medical professionals and production engineers to achieve their goals.